Bracelet length: ca. 20 cm. Total weight: ca. 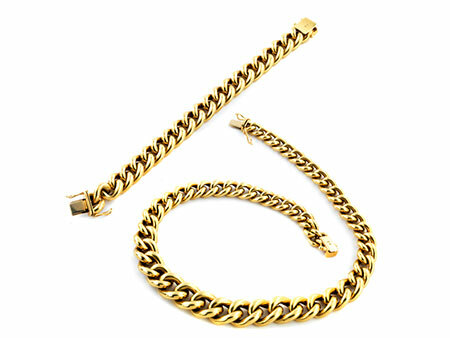 142.9 g.
Classic solid, graduating round curb chain necklace with matching graduating bracelet. Each with closure with double figure-of-eight safety clasp.